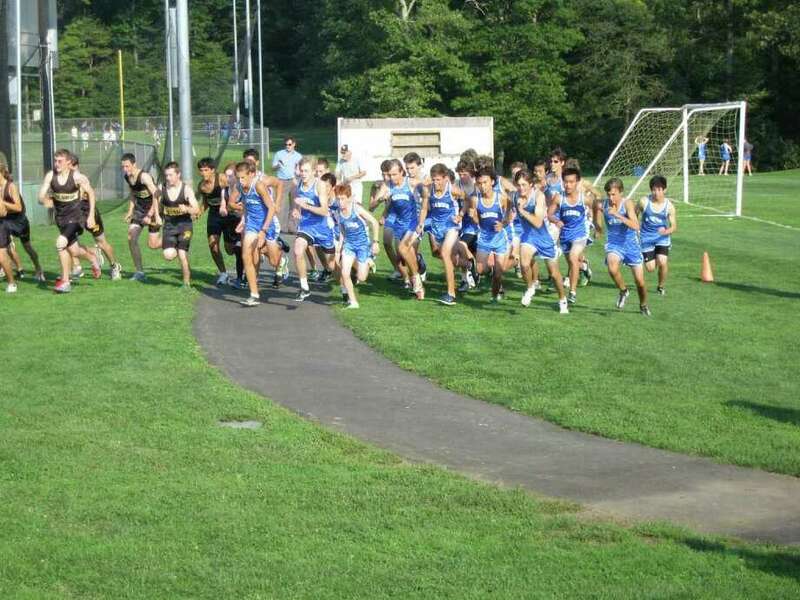 The 2011 Darien High School Boys Cross Country Team earned its first victory of the season, decisively winning its first dual meet held Tuesday afternoon at Trumbull High School. The Blue Wave defeated Trumbull High School (16-45), and Bridgeport's Bassick High School (15-50) to start the season 2-0. In cross country, the low score wins the meet. Scores are determined by adding the top five individual finishing places on each team. Points are awarded to the individual runners of each participating team, equal to the position in which they cross the finish line (e.g., first place gets one point, second place gets two points, etc.). Runners six and seven can displace the top five on another team. Winning the varsity race in 16:09 was a `pack' of four Darien runners: captains Charlie Baird, Michael Coe, Michael Johnston and Alex Ostberg. Marshall Huffman finished sixth overall and fifth for the Blue Wave in 16:29. Also scoring points for Darien were Peter Kreuch and Brian Davey, who finished eighth (16:48) and ninth (16:52). Captain Eli Converse finished 10th in 16:59. "It was a nice to start to the season, but we have work to do," Darien coach Tyson Kaczmarek said. "We had a very promising first meet," Converse said. "We executed our strategy well, and the guys really stepped up."